What do you want the Baltic Sea Region to be in 2050? How will we live, work, travel, commute and lead our lives in the future? We are looking for young planners’ ideas on how to address future challenges of the Baltic Sea Region by the spatial planning tools and processes. VASAB has initiated the Young Planners’ Contest “Liveable Places and Spaces of Tomorrow” to bring together young professionals and give them a chance to create a network of next generation planners and provide them with a chance to express their expectations and perspective of the future of the Baltic Sea Area. Therefore, young professionals and students are invited to apply for the contest and join the 4-day International Summer Camp in Poznan, Poland, the 26th to the 29th of August 2019. The Summer Camp will take place at the Adam Mickiewicz University – Collegium Geographicum, Institute of Socio-Economic Geography and Spatial Management. During the International Summer Camp multinational and cross-sectoral teams will be formed to prepare propositions on development of Liveable Places and Spaces of Tomorrow. Teams will be provided with inspiring introductory workshops and mentors will be available through the whole Summer Camp. Best team(s) will be rewarded and invited to present their work to the high-level VASAB Ministerial Meeting (read more). Describe the challenge(s) that Baltic Sea Region might face in the future. Develop an idea, “out of the box” solution, on how to adapt to these future challenges. Fill in and send your application by 29th January 2019 via email young.planners@vasab.org. Participants have to be willing to join the Summer Camp in Poznan from 26th to 29th of August in 2019. Accommodation and travel costs for the participants will be covered. 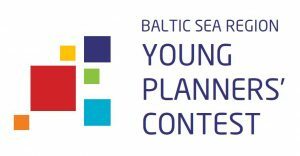 Young Planners’ Contest is organized by VASAB (Vision and Strategies Around the Baltic Sea) and has been made possible through funding from the Swedish Institute Seed funding for cooperation projects in the Baltic Sea Region. The project partnership consists of lead partner The Swedish National Board of Housing, Building and Planning and project partners VASAB and the Institute of Socio-economic Geography and Spatial Management at the Adam Mickiewicz University in Poznan (Poland).